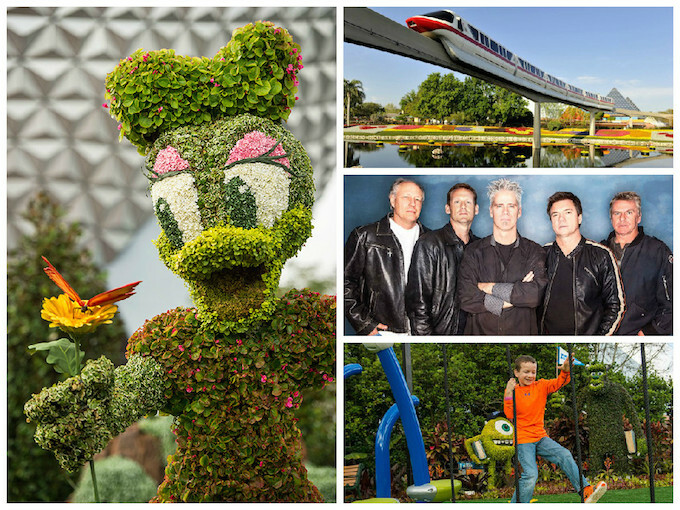 Orlando Attractions Update – Fresh flavors, lush gardens, lively entertainment and more await visitors as the EPCOT International Flower & Garden Festival returns to Walt Disney World Resort March 4-May 17, 2015. Guests can delight in a dazzling array of Disney-themed topiaries, including a new Disney character topiary saluting the blockbuster animated film, “Frozen.” Plus, new Chip and Dale topiaries will star in two whimsical EPCOT front-entrance “Goofy About Spring” floral vignettes. Eleven Outdoor Kitchens with “grow your own” gardens will tempt your taste buds with sweet and savory bites. The new Botanas Botánico Outdoor Kitchen between the France and Morocco pavilions will showcase treats like Cachapas with Farmer’s Cheese, a sweet yellow corn pancake, and Seafood Ceviche with shrimp, scallops and grouper with mango and avocado. Guests can sip the new La Tizana, a non-alcoholic punch finished with fresh fruit that can become an adult beverage with a splash of Santa Teresa RHUM Orange Liqueur. Visitors can also discover magical gardens and interactive exhibits throughout the park. A new Healing & Health Garden near The Land pavilion in Future World will display ancient medicinal plants including garlic, aloe, chamomile, fennel, mint and others. In the United Kingdom pavilion, a new Shakespeare Garden will feature roses to represent “Romeo and Juliet,” rosemary from “Hamlet,” lavender from “The Winter’s Tale” and more. Plus, the Butterflies on the Go exhibit will follow the Monarch butterfly’s epic journey across the continent.